Founded in 1960, the Asia-Pacific Academy of Ophthalmology® started off as the dream of one man – Dr William John Holmes. A response to his call came in September 1958. At the 19th International Congress of Ophthalmology in Brussels, a decision was made to form the Asia-Pacific Academy of Ophthalmology. One month later, Dr Holmes traveled to the Philippines, where he drew up the Constitution of the Academy with Dr Geminiano de Ocampo (Philippines), Dr Jesus Tamesis (Philippines), Dr Angelo and Dr Robert F Lowe (Australia). The 1st APAO Congress was held subsequently in Manila on October 10 – 13, 1960. The first Academy President and Congress President was Dr Ocampo, the “Father of Modern Philippine Ophthalmology”. The Academy was formed with the principal objective of fostering closer relations among ophthalmologists and ophthalmological societies in the Asia-Pacific region in order to combat blindness. Today it serves as an important platform to promote the prevention of blindness and restoration of sight through service, research, teaching and education in ophthalmology. Other objectives are to encourage the free exchange of ophthalmic knowledge and the advancement of the standard of eye care through the organization of congresses and/or other conferences. More importantly, APAO is entrusted with forming a family of ophthalmological societies for the welfare of all the people and nations in the Asia-Pacific region. Initially, the APAO Congress was held once every 4 years. From 1972, the APAO Congress was held biennially. To meet the growing demand for more frequent interactions in an ever-changing world, the APAO Congress has been an annual event since the 21st Congress in Singapore in 2006, providing ophthalmologists in the region and beyond with an important platform for the exchange of ideas. The Asia-Pacific region is home to more than half of the world’s population. According to the Global Data on Visual Impairments 2010 published by the World Health Organization, among the estimated 285 million visually impaired people in the world, over 180 million reside in the Asia-Pacific. Thus, ophthalmologists in the Asia-Pacific region have an important role to play in the fight against preventable blindness. 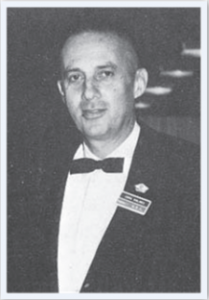 As the major driving force in ophthalmology in the Asia-Pacific, APAO’s raison d’etre is best described by Sir Stewart Duke-Elder, then President of the International Council of Ophthalmology, at the first APAO Congress in 1960: “I know of no greater stimulus for the progress of ophthalmology in the vast area which the Asia-Pacific Academy represents than the institution of a body such as yours.” APAO will continue to take on the challenges of removing the barriers to ophthalmic education and services. To this end, the Academy has launched a variety of initiatives, including the Asia-Pacific Journal of Ophthalmology, Leadership Development Program, International Fellowship Program, etc. In addition to national ophthalmic societies, APAO has also recruited regional subspecialty societies. 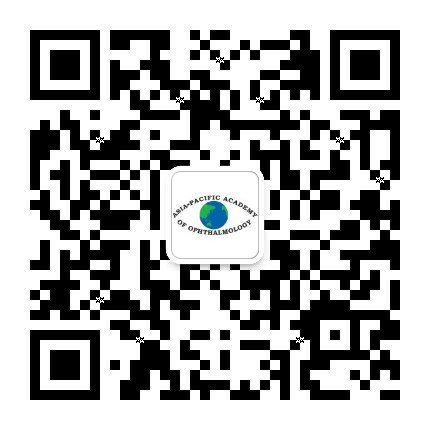 At present, APAO has 25 member organizations comprising 6 major regional subspecialty societies and 19 national ophthalmic societies from different countries and territories in the Asia-Pacific region, including Australia & New Zealand, Bangladesh, Cambodia, China, Chinese Taipei, Hong Kong, India, Indonesia, Japan, Korea, Malaysia, Mongolia, Nepal, Pakistan, the Philippines, Singapore, Sri Lanka, Thailand and Vietnam. Inauguration of the APAO, Manila, 1960. The Second Congress, Melbourne, 1964. The Fourth Congress, Auckland, 1972. The Fifth Congress, Colombo, 1974. The Seventh Congress, Karachi, 1979.